Eating disorders and women of color: Anorexia and bulimia are not just white-girl diseases. 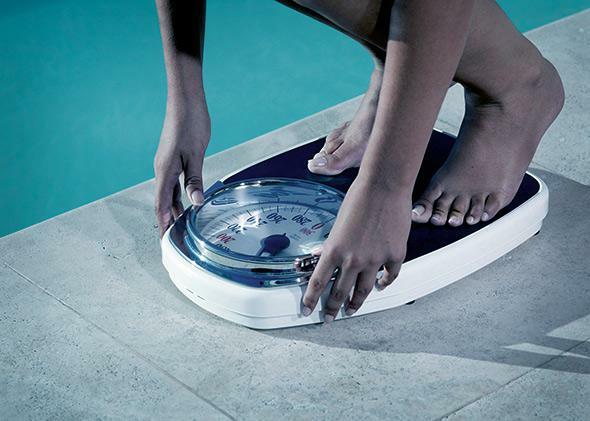 Puncturing the dangerous myth that only white women get eating disorders. Many eating disorder professionals believe statistics showing that eating disorders predominantly occur in white women are skewed, as women of color have been alienated from support networks and research. I was 12 when I saw my first made-for-TV movie about eating disorders. The year was 1997, and Amy Jo Johnson, the actress famous for playing the pink Power Ranger, starred as a gymnast-turned-bulimic in Perfect Body. * The ’90s was a big decade for eating disorder melodramas. Tracey Gold battled her own disorder and starred in For the Love of Nancy in 1994. A few years earlier there was Kate’s Secret, then A Secret Between Friends, and later Sharing the Secret. Lots of secrets. But the women keeping them were mostly young, thin, popular, and white. Doctors have this misconception, too. A 2006 study found that clinicians were less likely to assign an eating disorder diagnosis to a fictional character based on her case history if her race was represented as African-American rather than Caucasian or Hispanic. And although statistics do show that eating disorders predominantly occur in white women, many eating disorder professionals believe those numbers are skewed, as women of color have been alienated from a support network that for too long has bought into the myth. According to the National Eating Disorders Association (NEDA), “exact statistics on the prevalence of eating disorders among women of color are unavailable” because, “due to our historically biased view that eating disorders only affect white women, relatively little research has been conducted utilizing participants from racial and ethnic minority groups.” And as Carrie Arnold detailed in a piece for Slate, eating disorder research is “dramatically underfunded.” Still, we know these women exist. Here are a few. I met Anahi Ortega at the NEDA conference in 2012, where the topic was “What About Us? Diversity and Complexity in Eating Disorders,” and Ortega was a featured speaker. One reason it was so simple to get away with not eating has to do with the traditional Mexican meal structure. “A lot of [Latino] families have a two-meal-per-day pattern,” Vivas says. “It’s easier to get out of eating when you have to get out of two meals a day.” Ioana Boie, assistant professor in the department of counseling at Marymount University in Arlington, Va., agrees. “In California, you see people still adhering to traditional meal times you see in Mexico,” she says. “Eating dinner at 3 or 4 p.m.” This is “exactly how I stayed under the radar,” Ortega told me, explaining how easy it was to tell her parents she was eating all her meals at school when she wasn’t eating a thing. It wasn’t until Ortega’s anorexia escalated into cutting and bulimia at 15 that anyone really took notice—she was hospitalized after accidentally overdosing on diet pills and nearly suffered a stroke. Ortega eventually enrolled at California State University–Monterey Bay. Her disordered eating ceased, but she continued cutting and began abusing drugs and alcohol. She eventually withdrew from school and attended a codependency program. Her drug use stopped, but the eating disorder kicked back up. “If it wasn’t one, it was the other,” she says. Ortega got back to a stable weight but relapsed immediately. Finally fed up with her interchanging issues, she checked herself into intensive inpatient treatment at the Center for Anorexia and Bulimia at Herrick in Berkeley, Calif. Her three-week stay at Herrick marked the first time Ortega felt entirely comfortable in a treatment setting. She’d been in plenty of support groups and outpatient programs over the years, but she’d always felt like an outsider because of her heritage. “Most of the girls were there because their parents were forcing them to go,” the 25-year-old says of the other patients she encountered before Herrick. “Their parents were involved with the medical treatment, while mine complained about having to drive me to appointments—treatment talk was nonexistent.” Just as eating disorder outreach needs to better target young women of color, “you have to target the [minority] parents and have them involved” as well, Ortega says. Ortega didn’t think recovery was possible until she attended her first NEDA conference in 2011 and met Stephanie Covington Armstrong, the author of Not All Black Girls Know How to Eat. There she was: another woman of color who’d grappled with the disease. Armstrong’s early memories around eating aren’t particularly out of the ordinary, but her life changed dramatically at age 12, when she says she was molested by a relative and had “the need to squash down feelings that are never resolved.” She did this through food, kicking off years to come of disordered eating. “I thought I was the only black person who didn’t know how to eat,” she told me. Brooks says practitioners need to catch up to the reality that eating disorders do not discriminate. “A lot of times there can be discomfort talking about race—it’s such a charged issue in our culture and the feeling that if we talk about it, I may offend you or give you the message that your race is the only thing that is really important to me,” she says. “Clinicians need to be trained on how to deal with cross-cultural issues and feel comfortable with that themselves so they can bring that into the therapy room. I also think we need to get more people of color in the field of eating disorders, treating them.” There are even smaller things eating disorder professionals can do, like diversify the public face of eating disorders. Scan the websites and brochures of many treatment facilities and you’ll see mostly white women staring back at you. Just as Ortega was influenced by the guitar-shaped women of the telenovelas she saw on TV at home, Lee says she strove for Korean pop culture perfection. “My parents watched a lot of Korean shows, and the actresses looked so skinny,” she says. “That was my ideal body image. The Caucasian body is impossible for me to achieve. Our model is the K-pop people,” idolized as much for their bodies, Lee says, as for their talent. The school recommended a six-week inpatient treatment program, but instead Lee moved into an apartment with a friend and transitioned from anorexia to bulimia. “Every single day, I was planning from 7 a.m. to 4 p.m. how to eat, puke, eat, puke, eat, puke,” she says. The roommate eventually moved out, and Lee returned home. She credits her family’s connection to Christianity with her recovery. The turning point came in 2008, when she returned to Singapore at 21. “I remembered myself as a cheerful girl,” she says. “In Virginia, I didn’t know who I was. I thought my identity there was the anorexic girl. I could envision a happier version of myself in Singapore.” She stayed for five months and started gaining weight—which she’s kept on. In 2011, the New York Times published an article on the alarming increase of eating disorders in the Orthodox Jewish community, and a landmark study that same year called attention to the prevalence of binging and purging in Native American populations. An earlier study found greater body dissatisfaction among Hispanic and Asian girls than white girls. The overall picture is clear: Eating disorders don’t care about the color of your skin or the socioeconomic status of your family. It’s not just media images that are to blame, or various cultures’ expectations of women, or genetics. It’s not just about stress, or trauma, or power and control. It’s all of it, and everyone is at risk. It’s time for treatment, research, and funding to catch up accordingly. Correction, March 20, 2014: This article originally misstated the title of the movie Perfect Body.